Hucknall Gateway Heritage Marker – This landmark marker depicts the rich heritage of Hucknall in Nottinghamshire. 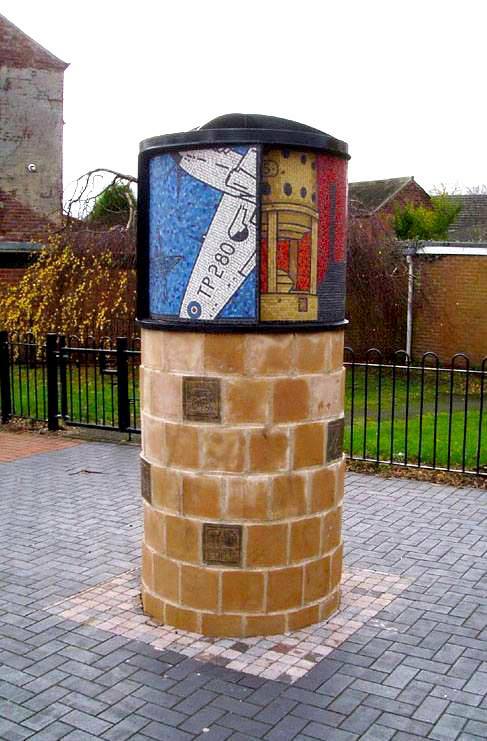 The four mosaic panels around the top of the column depict the Coal Mining heritage, Rolls Royce vertical take off prototype and Spitfire Engines, Charles Eamer Kempe Stained-glass, Lace making. The sculpture was designed by Campbell Design and Engineering and the mosaics designed and made by artist Gary Drostle.